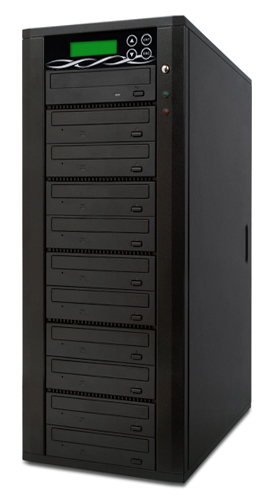 From single target to the industry leading 15 target, the Spartan SATA DVD/CD Duplicator Series includes all the professional features in a user-friendly package. Built with durability yet economically priced, Spartan offers high speed performance and cutting edge technologies such as Dynamic Hard drive Partitioning (DHP) and Master Error Proof to suit even the most demanding jobs. Includes hard drive for HDD to disc copies. Fully stand-alone system - No computer needed! All duplicators are fully tested before we ship them out. This process includes detailed overnight burn sessions which ensures that your system is in perfect working condition when your system is delivered. 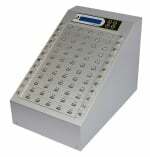 Our Price: $599.00 CALL for our lowest price! Our Price: $1,899.00 CALL for our lowest price!